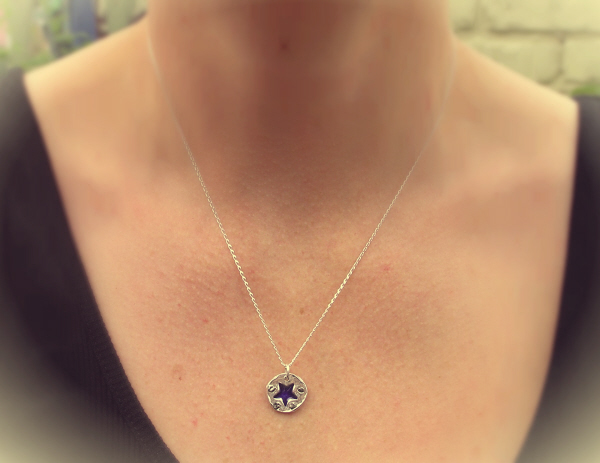 This is a simple new piece made with a blue enamelled star at the centre of a circle of solid silver. The outside of the disc has been set with 5 fragments of iron meteorite. This is a famous Octahedrite iron meteorite that fell in large amounts in Argentina between 4000-5000 years ago. 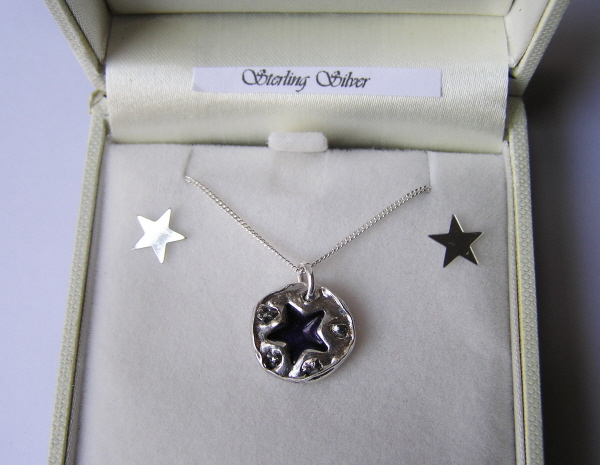 Boxed in a stunning black velvet lined jewellery box along with a signed certificate of authenticity. You will also receive a free A4 meteorite information sheet, packed with information on these incredible objects.